Part of the Nativity revolved around a bright star shining in the sky, guiding followers to Christ’s birthplace, and this year in the pokie world, another star will be shining brightly this December thanks to Microgaming’s fantastic new StarDust slot. This brand new 5×4 reel slot boasts 40 fixed paylines in the base game, which already marks it out as something different to the usual 5×3 reel slots you find in most casinos today. 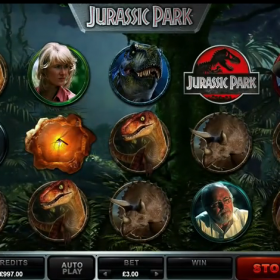 However it is when you get down to the finer details you really hone in on what will make this new slot appeal to players. The first of these is the fantastic sounds and graphics which sees all the symbols in the game, including gems and a swirling galaxy all beautifully realised in high definition. 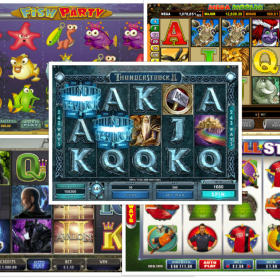 The base game is relatively straightforward and has the usual Wild symbols helping you achieve a base game payout, but it is when you get into the Free Spins round that StarDust really begins to shine. One big difference is how you get into free spins, scatter symbols have been banished to another dimension as in Starburst, when you land the Galaxy symbol on the third reel, it collects all the visible gems on the other reels. Once between 10 and 13 gems have been collected, you gain entry into the Free Spins round. 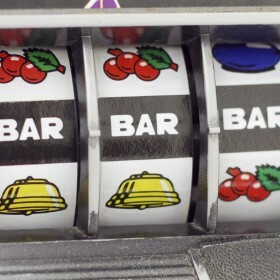 For every gem collected you gain a free spin and that’s not all, each gem gives you a cash prize and better still, every time you land a 3 or 4 symbol winning payline in free spins, that triggers the Radiant Respin option which sees the non-winning reels spun again to see if you can get a bigger win. 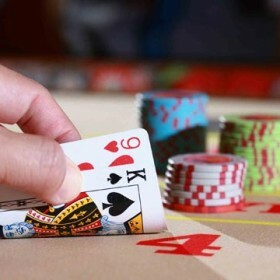 In addition, during free spins 1024 ways to win are in operation and you get Super Stacked Wilds on the reels 12-high, giving you an even better chance of landing the big one. 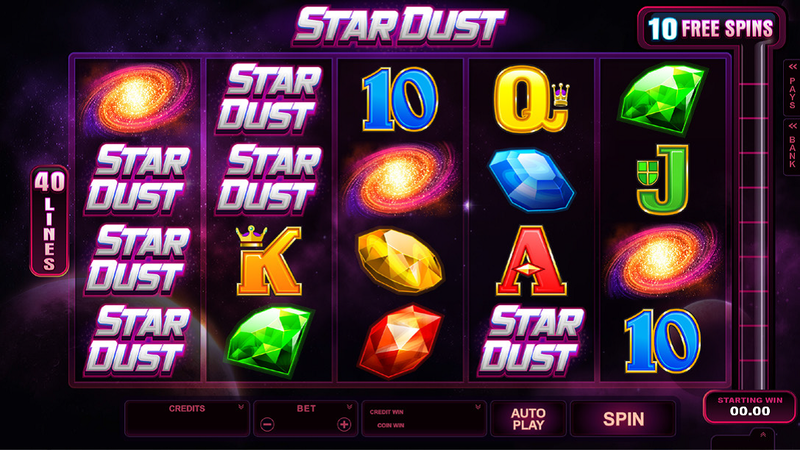 StarDust promises to be an out of this world slot experience for fans when released into Microgaming casinos this December. The countdown starts now!